Want a bigger version of Metro Exodus? A recently released video marked the reveal of Metro Exodus Aurora Limited Edition. Also featured in the video is the announcement of a new trailer, which will arrive on August 20, 2018. Let’s look at the Metro Exodus trailer revealing the special edition. There is also a preorder incentive for the digital, physical, and limited versions of the game. 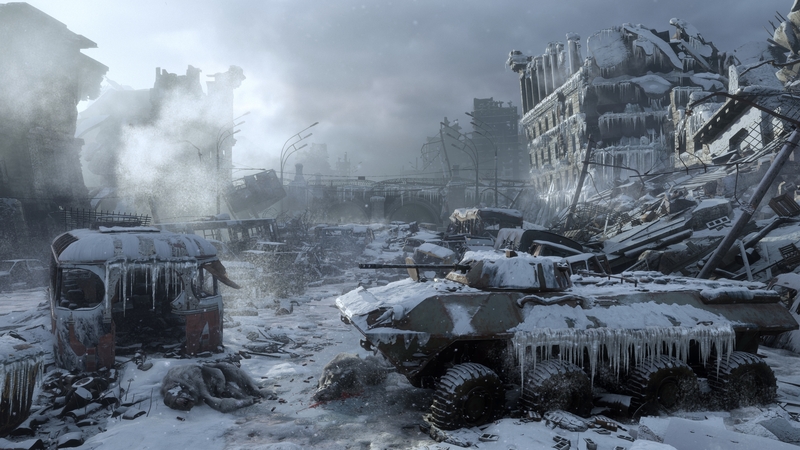 For PlayStation 4 owners interested in Metro Exodus, preorders net you a dynamic Winter artwork PlayStation 4 dashboard theme. Preordering Metro Exodus Gold Edition, which includes the game and its expansion pass, gives PlayStation 4 owners 2 dynamic themes and Metro Exodus OST. The Gold Edition costs $84.99. Metro Exodus doesn’t launch on the PlayStation 4, Xbox One, and PC until February 22, 2019, and preorders are officially live for the game. However, fans attending gamescom 2018, PAX West 2018, the UK’s EGX 2018 event, or Paris Games Week 2018 can get their hand on it early, thanks to a “world tour” for the playable demo.